Ambiguity demo — by Marten Postma Enter an English sentence and the Ambiguity demo will compute the number of possible meaning combinations. The number evokes how complex it would be for a machine to understand natural language sentences. Within Understanding Language by Machines project 1, Rubén Izquierdo & Marten Postma focus on Word Sense Disambiguation (WSD), which is defined as the task of deciding on the meaning of a word by computers. Humans are very good at this task. So good, in fact, that they do not even notice how complicated the task is. For example, the sentence “After going for a run, the man took a shower.” is perfectly understandable and would not be considered difficult by most. However, for a computer, this sentence alone has more than 1.3 million meaning combinations. 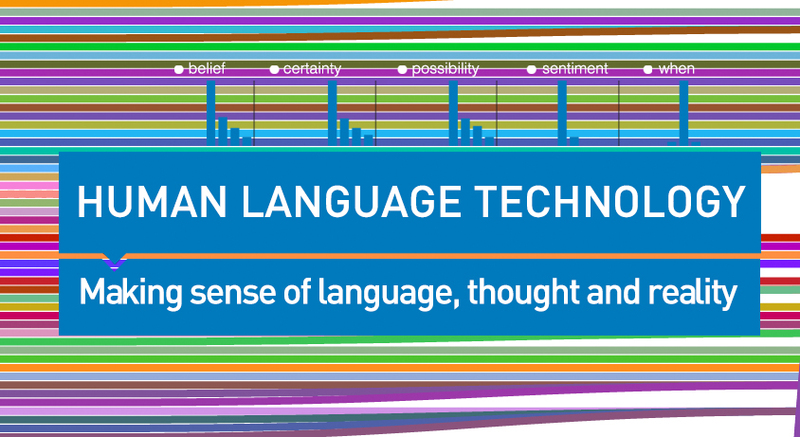 The ambiguity of natural language is a problem that is not well understood. We do not have a clear idea about the size and complexity of the problem. We are investigating the problem systematically by determining the relation between 3 variables: Word (W) – Meaning (M) – context (C). The goal is to more properly define this complex relation and apply this knowledge to come closer to the optimal solution for the Word Sense Disambiguation task.